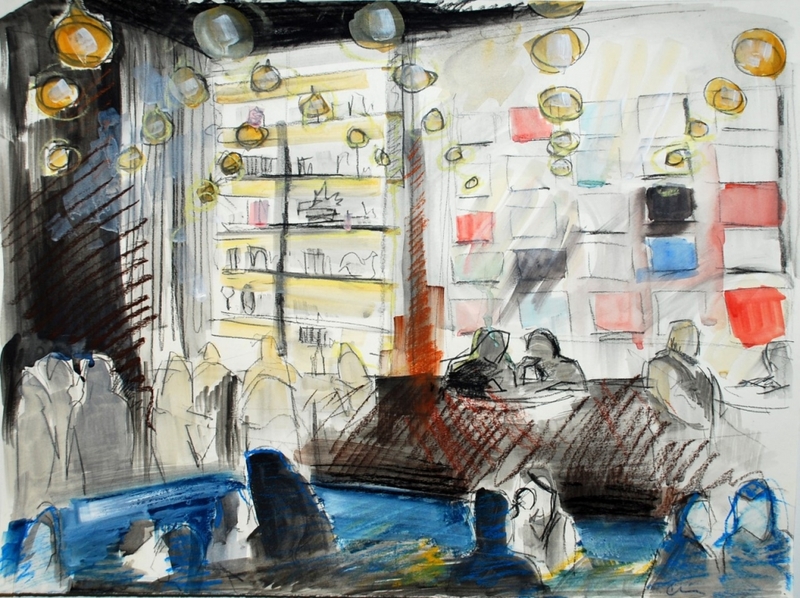 By mixing different media such as charcoal, pastel, gouache, and watercolor, this series not only remains fluid and colorful, like the setting’s main subjects, but also honors the craft and versatility of modern bar mixology. 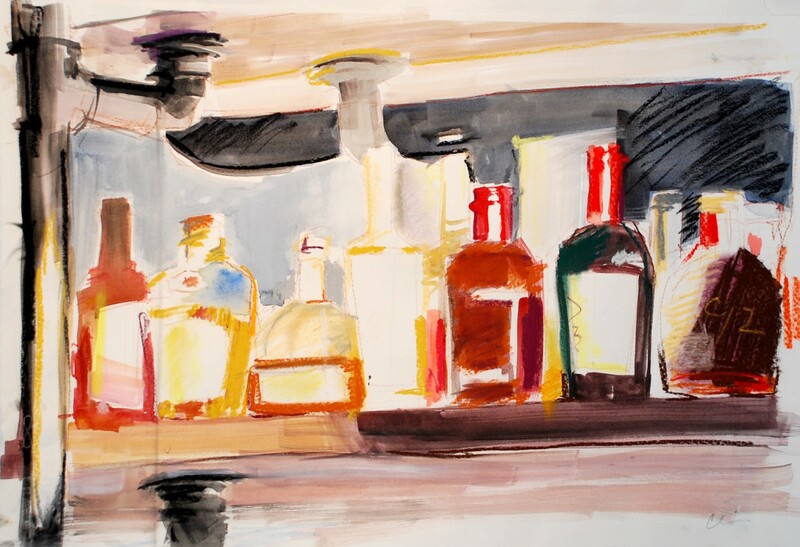 By combining seemingly juxtaposed or even redundant ingredients (such as watercolor and gouache, or pastel and charcoal) in an innovative manner, the visuals mimic the works of art created by the bartenders and mixologists to complete this liquid social ritual. 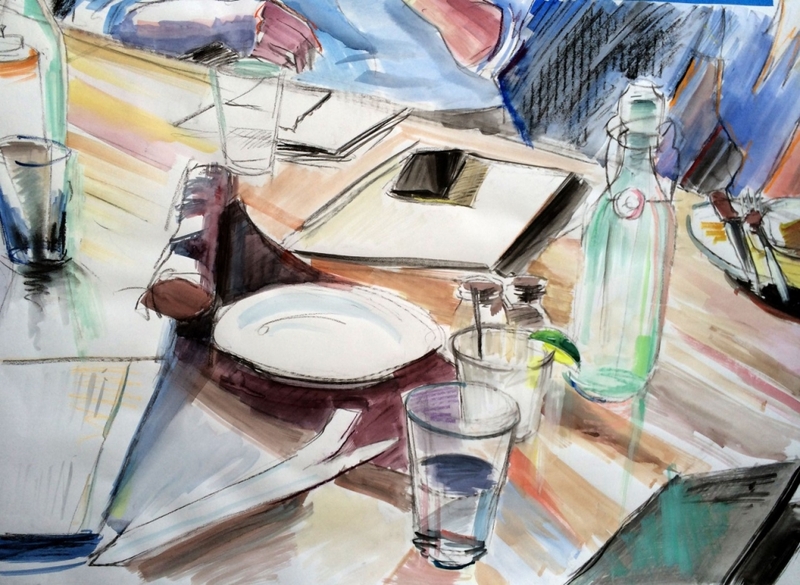 Girardi’s current work explores the different social levels of public spaces, and isolating curious aspects such as setting, color, taste, and interaction. She merges traditional subject matter, still life, landscape, and the figure, with fresh contemporary approaches to their creation and application. 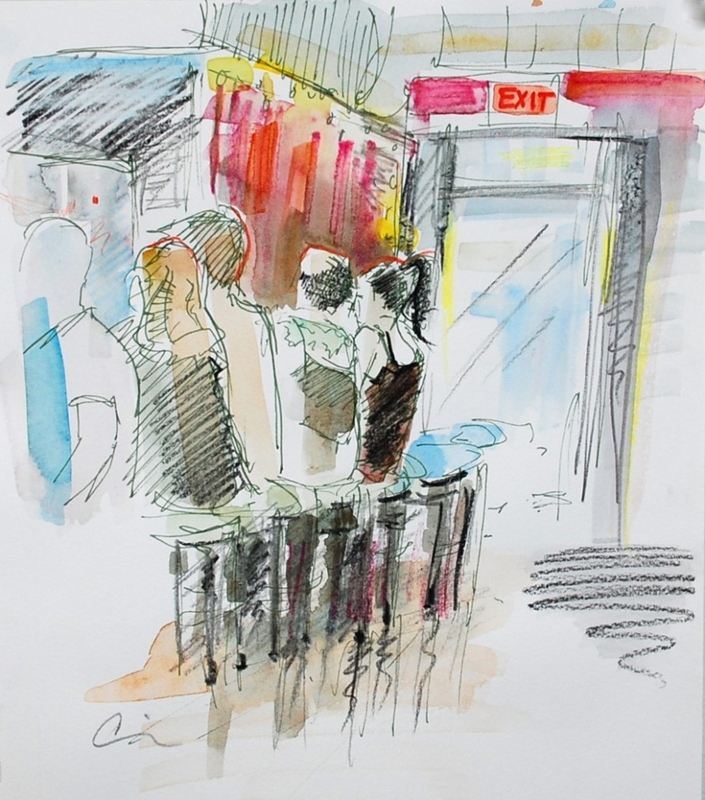 The After Hours: Social Rituals series combines many of the traditional subjects she explores in her studio, blending an intimate, narrative casualness of sketching on site with the public, and infinitely complex, subjects of bars and socialites. 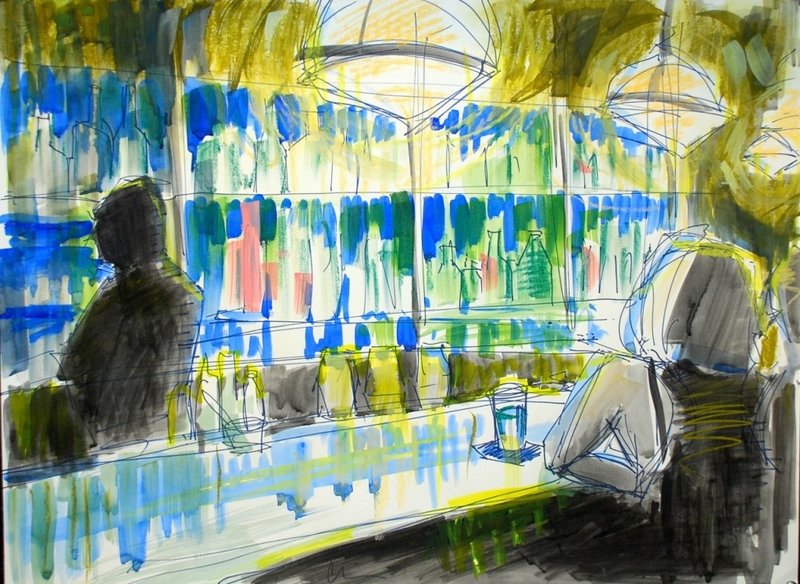 Christina Girardi is an artist and illustrator in the Washington, DC area. She employs a classical approach to subjects such as still life, plein air, and portraits with a fresh and contemporary style. 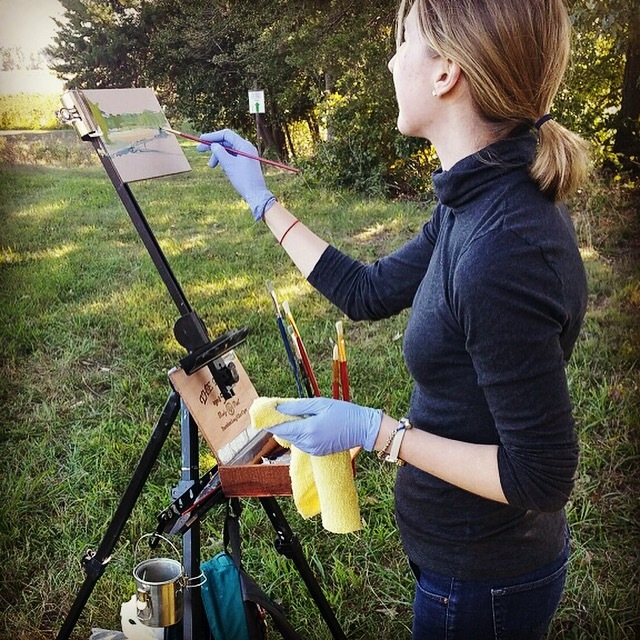 Her work has appeared on WUSA9, and featured in private collections and commissions including the American University Emerging Arts Leaders Symposium (EALS), Venture Philanthropy Partners, Quievrement Winery, and Ecosystems. Her current work explores portraiture, especially of strong women and mothers, and on-site documentation of social contexts. 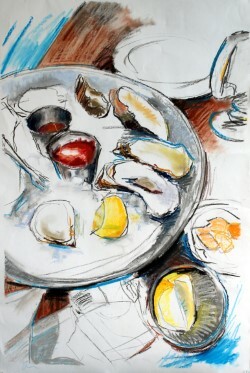 She can be found with her paints around DC/MD/VA capturing the landscapes, people, and architecture en plein air.